The terrorist attack in Jammu and Kashmir's Pulwama district which killed 40 CRPF jawans, was not the handiwork of a single man but a group, former Research and Analysis Wing (RAW) chief Vikram Sood Sunday said. He also attributed the incident to security lapses somewhere. "The entire episode of Pulwama was not a job done by one man.. There would have been a whole team behind him," he told reporters after addressing a seminar on 'External Intelligence for National Security' here. "This kind of an incident does not take place without a security lapse somewhere.. they had knowledge about the movement of the (CRPF) vehicles. There must have been group of people who did it," Sood said. Asked about India's possible response, Sood said, "It is not a boxing match.. punch for punch won't do." The timing and place would be chosen by the security forces, as the Prime Minister had said, he added. 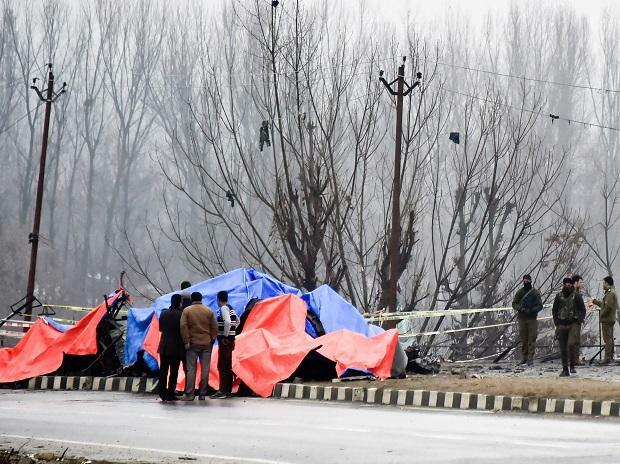 Forty CRPF personnel were killed on Thursday in one of the deadliest terror attacks in Jammu and Kashmir when a Jaish-e-Mohammad suicide bomber rammed a vehicle carrying over 100 kg of explosives into their bus in Pulwama district. To another query on India not getting China's support to proscribe JeM chief Masood Azhar as "global terrorist" at the United Nations Security Council, Sood said "China is playing to Pakistan's requests.. China is the only safeguard for them in UN when it comes to having Masood Azhar declared a terrorist. He claimed that China was doing it beacuse it harboured apprehensions that Islamic outfits in Xinjiang province might maintain links with their terrorists in Pakistan. "So, it is a quid-pro-quo. China will do this for Pakistan.. Pakistan will make sure that these terrorists don't give trouble to them in Xinjiang," said Sood, a career intelligence officer for 31 years. Earlier, addressing the seminar, Sood noted that the animus that Pakistan nurtures for India is permanent. "It's not going to go away. No amount of peace talks, no amount of concessions, and 'bada bhai business' is going to help they (Pakistan) are not interested and they don't want. They want us down and out. We have to frame a policy that takes that into account". Highlighting the threat posed by China, he said, "I think China and not Pakistan is the bigger threat. China in control of Pakistan is even worse. So, we have to prepare for that." Pakistan is a useful ploy for China to use against us and they will keep using. We have to take our own measures.". Stressing the need for a national policy on Kashmir, Former Union Home Secretary K Padmanabhaiah in his address said, "There has to be a national policy on Kashmir.. not a BJP policy, not a Congress policy and not a Leftist policy. A national policy where everybody agrees."